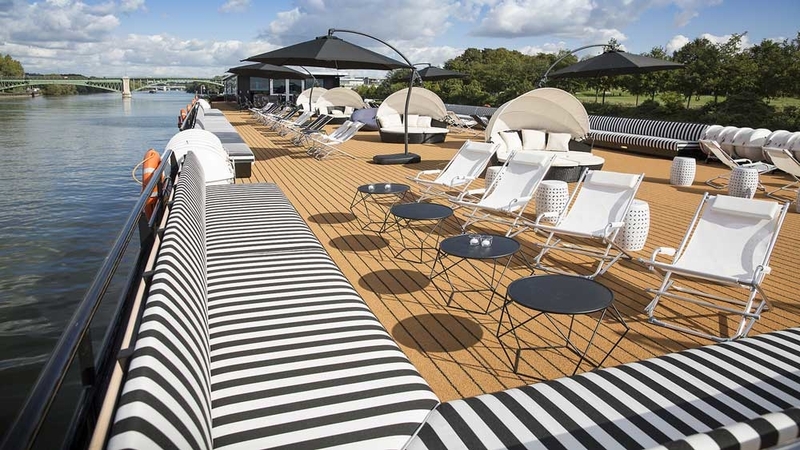 Uniworld, has been tight-lipped about pretty much everything, their CEO Ellen Bettridge has commented on some of the features and amenities added to U’s two new ships The A and The B. Here is everything we know about this exciting way to experience Europe. Even though Uniworld is keeping most design elements a surprise, Uniworld has published a concept image of their new ships, indicating the exterior will be entirely black with a white U logo. This is a break from that traditional white with a colored hull favored by almost all other river cruise lines. So U’s guests should have no problems identifying which ship is theirs after spending the day exploring the town. Rest assured that the U by Uniworld ships have been designed specifically with travelers in mind, which means they’re sociable, contemporary, and brimming with sweet little extra touches. Once on the ship, life gets even better. Related: Live Life On The Edge Of Your Seat With These Active Adventure Tours! Guests will be able to stay connected because both ships have complimentary Wi-Fi onboard. How else are you going to post picture of your rooftop yoga session in Amsterdam or your dance moves at U’s Silent Disco? Once you step onboard your floating boutique hotel, everything is at your fingertips and professional, highly trained crewmembers will be there to provide exquisite service with a smile. Onboard activities include the Silent Disco, which is U’s traveling club currently believed to double as the main lounge during the day. There is also the possibility the Silent Disco will be hosted at The Deck located on the Rooftop Deck. 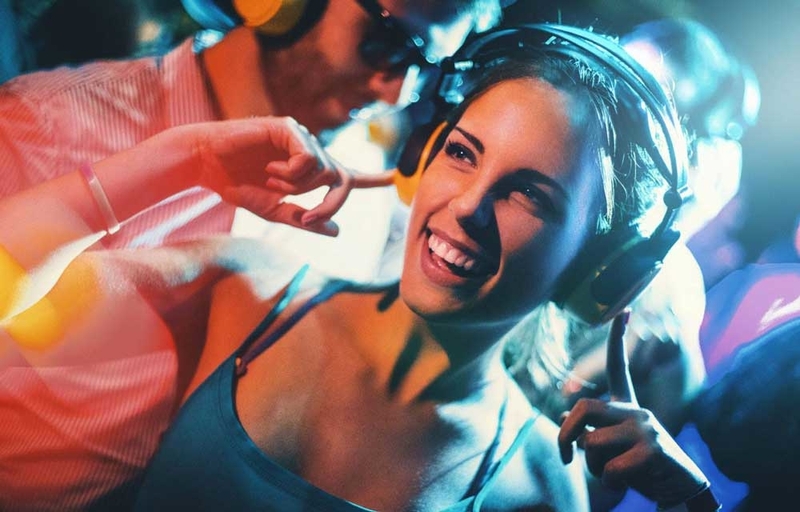 With local DJs and synced headphones, you can party through the night or you can take your headset off to talk to your new friends. U also has optional classes to make life on board fun and exciting. 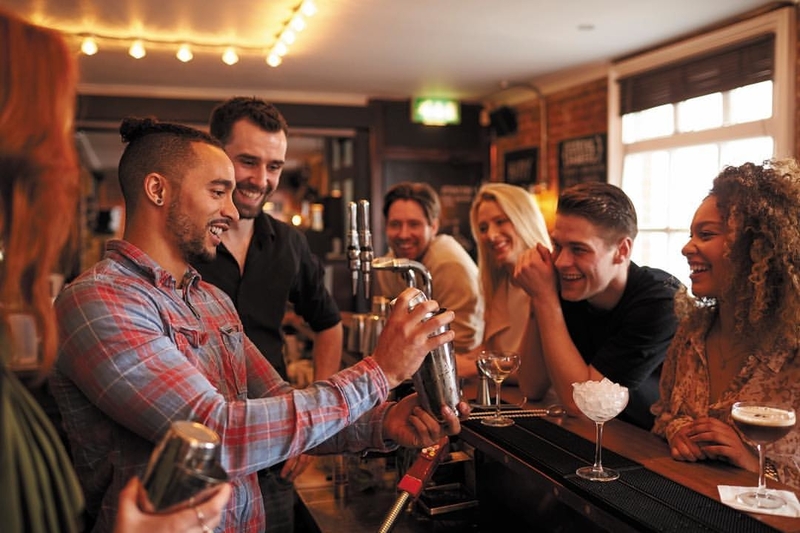 Why not take a Mixology class with one of the master bartenders and learn how to make that cocktail you liked so much. Get inspired by your picture perfect surroundings and paint a masterpiece on the Top Deck while you sip some local wine. Or you can take a multi-course cooking class with the ship’s Chef and whip up some tasty appetizers, entrees, and desserts. In addition to the new features and activities U has added, they have still kept some of the classic amenities. While U has added rooftop yoga, they will still have a gym if you don’t want to lose your hard earned muscles. U also will also have a spa that can help you get ready for a night of partying. Food has always been a big part of river cruising and with U, most onboard meals are included in the price of you fare. When onboard, guests will have two meals a day included, based on the daily schedule. 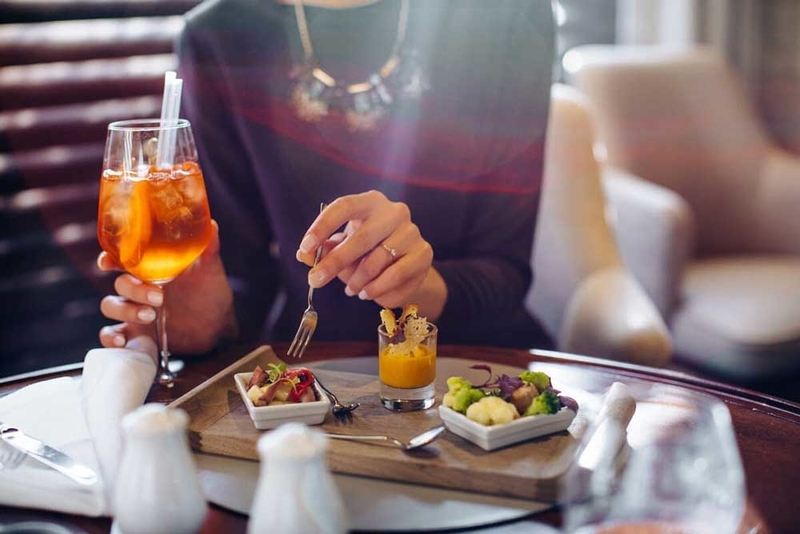 This is great for travelers who love eating in the comfort of the ship and also want the flexibility to also experience local street food and restaurants in the town they are exploring. Culture is often experienced through taste, and with that in mind, many of guest’s onboard meals will be inspired by the local fare of the cities you’ll visit, made from ingredients that were sourced just miles down the road. Related: See More And Do More On Active Adventure Tours! The two provided meals made by the master chefs will be served in the main restaurant, Dine. Guests also have the option to purchase other meals and tasty snacks on the rooftop eatery, Eatz. River cruisers can also order room service for a small additional charge if you feel like enjoying a bite or a coffee from the comfort of your room. U also wanted to make river cruising more welcoming and affordable for single travelers by being the first river cruise company to give single travelers the option of sharing a cabin with another single, like minded traveler of the same gender. You have the option of roomsharing in either Studio or Balcony categories. This means that both solo travelers will not be required to pay single supplement! However, purchasing the single supplement is always an option if you would prefer having your own cabin. What if you have two friends who also want to experience Europe on a river cruise? U by Uniworld is also one of the first river cruise companies that has accommodations that can sleep up to three people in one stateroom. The Studio Triple Categories are very limited, with only two cabins per ship. U also has a Suite option for those who would like a little more (or double) the space of the cabin categories. These Suites are perfect for newlyweds who want more luxury and amenities while they are on their honeymoon! The Suites include a king size bed frame, a French Balcony, and a marble bathroom complete with a heated mirror and a towel warmer! Each of U’s ships have four Suites so you must act fast. 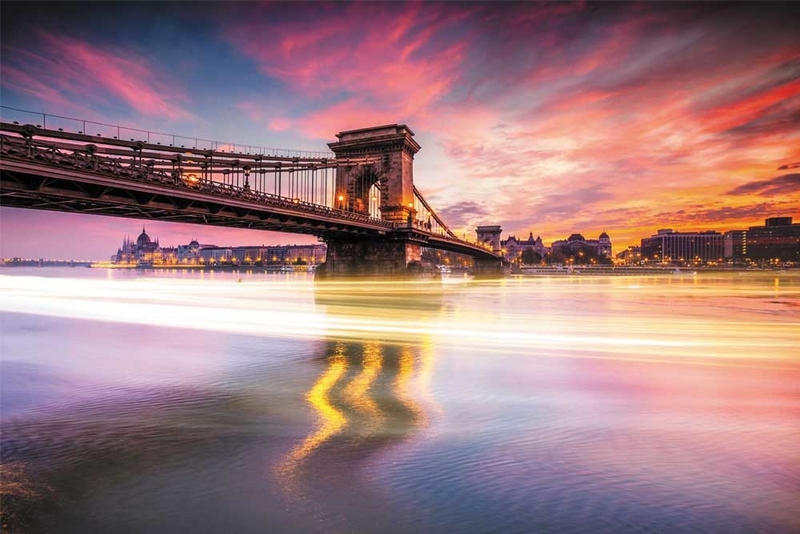 With the exception of U by Uniworld’s Limited Edition Christmas Market itineraries, Dashing Through The Danube, and A Merry Little Christmas Cruise, all of U’s itineraries are eight days long and sail from April until October. The A sails down the Rhine, Main and Danube alternating between its three itineraries Rolling on The Rhine, Germany’s Finest, and The Danube Flow. The B sails from Paris to Paris with its itinerary Seine Experience, so expect a Midnight in Paris stroll and lots of pictures in front to the glittering Eiffel Tower. If an eight day river cruise is not long enough for you there is a secret option. U has partnered with their sister company Contiki to create three Super Cruises. You can pair Germany’s Finest with either The Danube Flow or Rolling on The Rhine to create a 15 day itinerary. Or, combine all three of The A’s itineraries to create a 22 day cruise! We highly recommend booking the Super Cruise option if you want to do back-to-back cruises. This will keep you from having to keep track of multiple reservations, and will ensure that you are in the same cabin for the entire trip. U has also announced that former Victoria Supermodel Petra Nemcova will be the new ship’s Godmother, which has been renamed ‘Guardian Angel’. This means that she will occasionally sail on the both The A and The B from time to time. So who knows, you may be cruising with a celebrity! U has announced that Petra Nemcova will be on U’s The B’s inaugural sailing this October! U by Uniworld has always believed that travel should be relaxing, exhilarating, and conveniently tailored to your interests — all at the same time. Ready to experience a new way to explore Europe? View all of our top active adventure tours!